He has founded a number of startups including IMVU, where he served as CTO, and he has advised on business and product strategy for startups, venture capital firms, and large companies, including GE, where he partnered with them on the FastWorks program. Eric served as the Entrepreneur-in-Residence at Harvard Business School, IDEO, and Pivotal and he is the founder and CEO of the Long Term Stock Exchange. In 2015, he ran a Kickstarter campaign to produce The Leader’s Guide, which went on to become one of the top Kickstarter book campaigns of all time. For availability and speaker fees, please contact Eric Ries’s speaking agent at Chartwell here, or call +1 972 385 1021 for U.S. inquiries or +44 207 293 0864 for international inquiries. 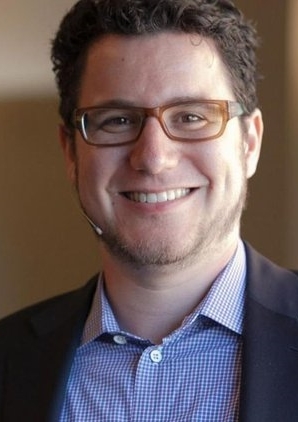 Talks at Google | Eric Ries: "The Lean Startup"